3Play Media offers a caption encoding service however, if the source video is so large that it required compressing it in order to upload it for transcription and captioning, this article serves as useful guide should you require an caption-encoded video that matches the source quality. 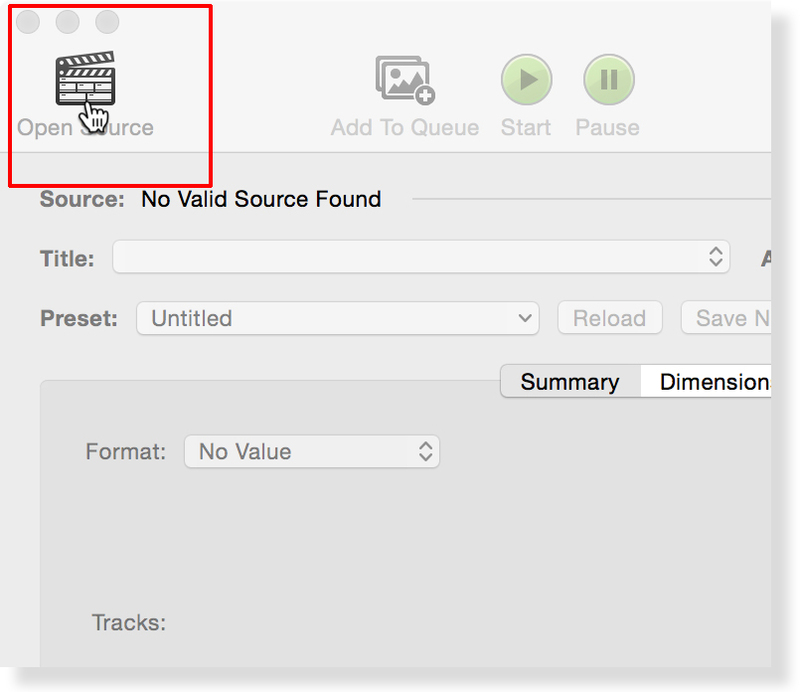 Follow the steps below to learn how to download the SRT captions from 3Play Media and then encode either open or closed captions into the source video using Handbrake. Handbrake is a free, open-source program and can be downloaded here for Windows and Mac. Please note that Handbrake can only output MP4 or MKV video files. Log into 3Play Media and click the file associated with the video you are going to work with in Handbrake. Click Download and locate the SRT closed captions format within the Web Caption Formats section. Click the SRT button and the file will download almost immediately. See more information regarding the download process. Once Handbrake has been opened, click the Open Source button in the upper, left-hand side of the Handbrake interface. Select the video file associated with the SRT captions downloaded in step 1. Locate the Save As field at the bottom of the Handbrake interface. Rename the media file so that when Handbrake has completed the encoding process the original media file is not overwritten. Videos can be transcoded to be optimized for specific devices/delivery methods. 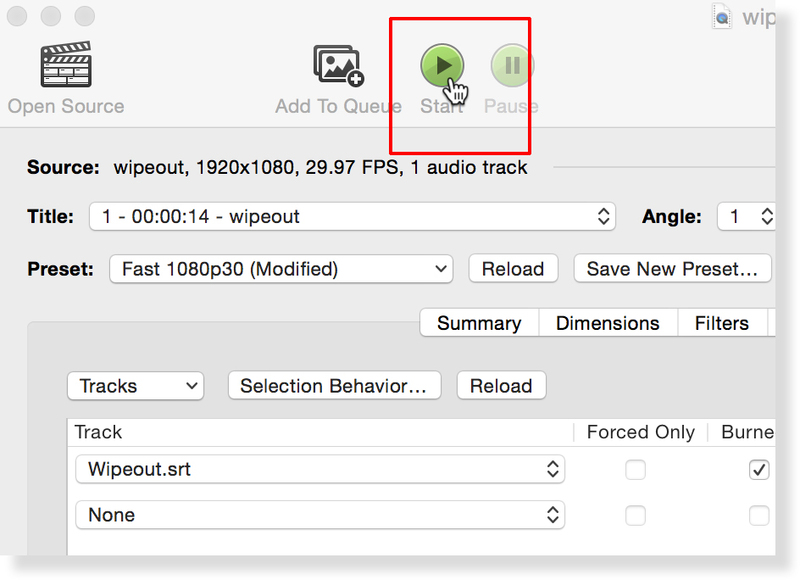 See Handbrake's documentation for more information regarding video transcoding and presets. Click on the Subtitles tab within Handbrake. Click the Tracks button. From the dropdown menu that appears select Add External SRT and then select the SRT file downloaded in step 1. If open captions are desired check the box under the Burned In column. If closed captions are desired leave this box unchecked. Under SRT Language choose the language associated with the SRT file. If multiple SRT tracks are being encoded as closed captions a Default track can be set and in addition, it can be forced on playback (Force Only). If needed, an SRT Offset can also be configured in milliseconds. See more information regarding these optional settings. Once the settings for the captions have been selected click Start to begin encoding the captions into the media file.